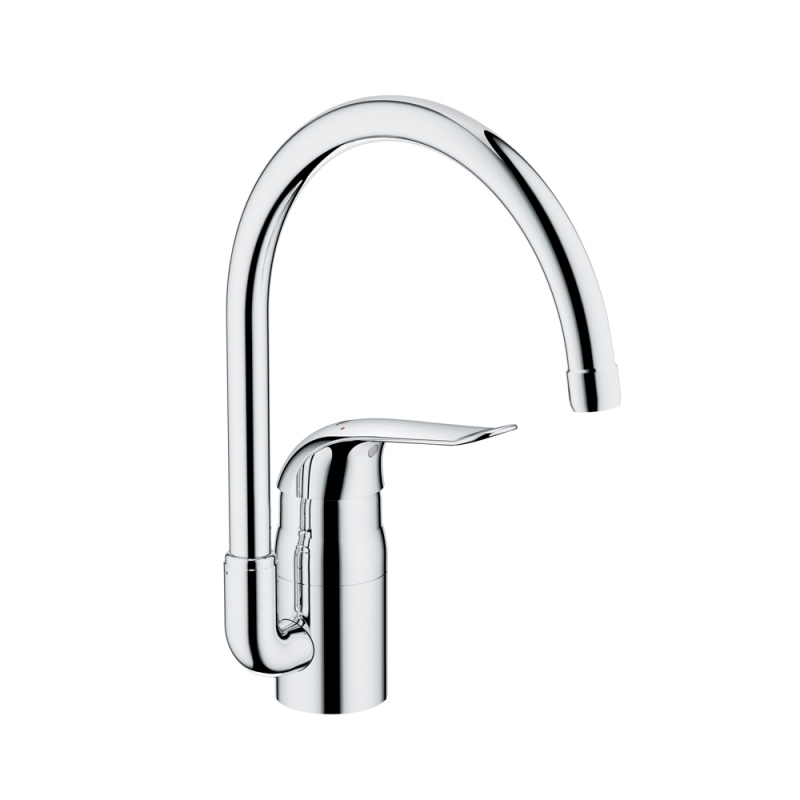 From Grohe's Euroeco range, the Euroeco Special kitchen mixer tap features a convenient high spout for easy filling of large pots, and offers a selectable swivel range of 0°, 150° or 360° for maximum flexibility. 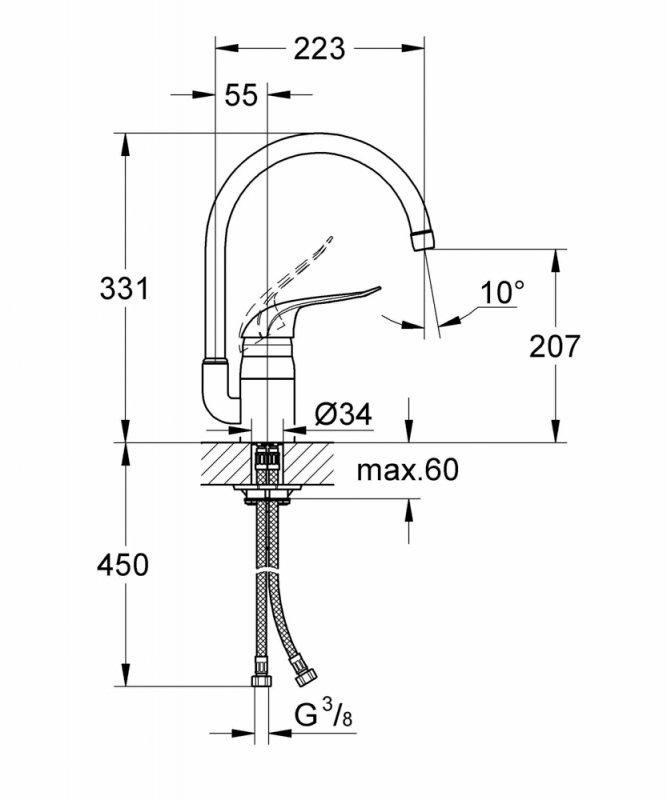 Water flow and temperature are gradually and precisely controlled by the metal lever, incorporating Grohe's unique SilkMove cartridge technology for smooth movement. Finished with Grohe's StarLight chrome scratch-resistant surface, the Euroeco Special kitchen mixer can be easily cleaned. Switch between basins effortlessly with Grohe SmoothTurn technology. 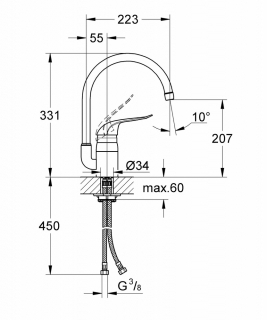 The Euroeco Special kitchen sink tap is easily installed and comes with flexible connection hoses, adjustable flow rate and temperature limiters, and a 5 year warranty. 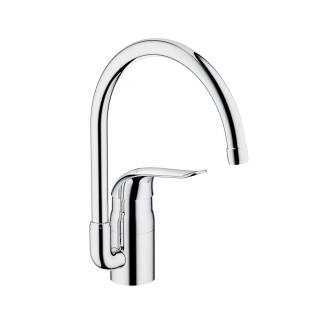 The Euroeco Special kitchen tap is a stylish addition to any kitchen, combining sleek, modern style and practicality.